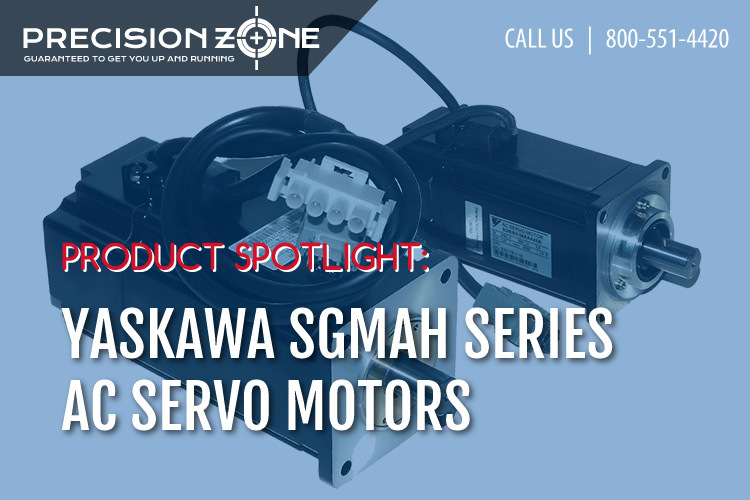 Yaskawa offers many different types of AC servo drive units and the CACR-SR_BB1 is one of the more common drives we work on and see often at our facility. This series is offered in a few different output ratings, starting at 0.3kW (300W) and leading up to 6.0kW. The model number includes characters to represent the applicable motor series as well as the pulse count the encoder will need to have. Encoder pulse options vary by application and there are options for 1000, 1500, 2500, 4000, 5000, and 6000 pulses per revolution. A single 7-segment display can be found on the main control card for this series and that will help show the running status as well as any fault codes that may come up. There are a few alarms that can come up on this series, though it is slightly limited by the single 7-segment display. Two of the more common codes we experience are alarms ‘1’ and ‘2’. Alarm 2 is pointing to the main circuit breaker is currently in a tripped state. This breaker can be found directly behind the input power terminals along the main terminal strip and occasionally can be tripped during shipping. Checking the breaker directly should be the first check to verify what state it is in. If it is still on but the alarm continues, attempting to power cycle and checking the incoming phase to phase plus phase to ground voltage can be done. If there is any type of short in the incoming lines, the breaker would trip and cause this alarm to show up as soon as secondary power is applied. A full list of the possible alarm codes corresponding to this drive series can be found here.